A breastfeeding support group, run by a La Leche League leader. An opportunity for babies & toddlers to interact with other children as we discuss different topics each month and have an open dialog to bring up any questions you have in relation to breastfeeding. Followed by time to socialize. 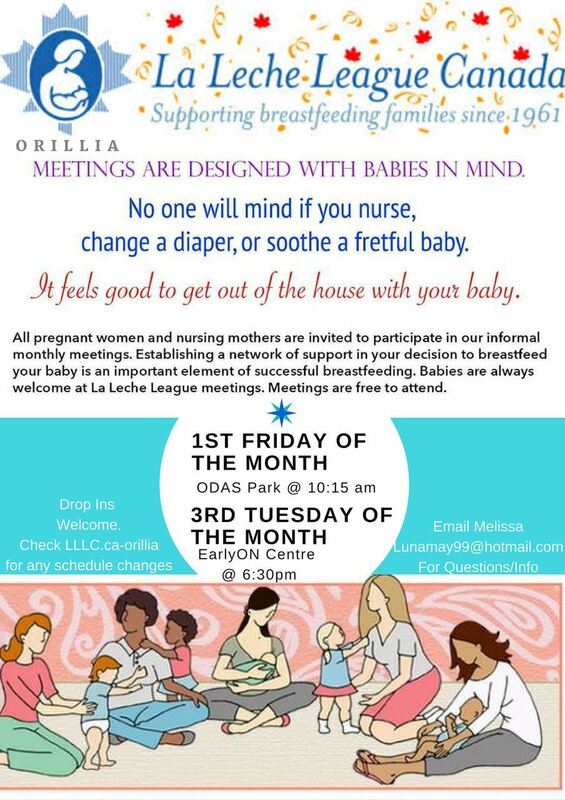 There is a meeting every 1st Friday of the month at ODAS Park at 10:15 am and every 3rd Tuesday of the month at the EarlyON Centre at 6:30pm. For all infants & toddlers and their mothers who are still breastfeeding, as well as expectant mothers. This is a free drop in event. You do not need to register with us. Parking is FREE. The Friday meeting is held in the first building at ODAS Park (where all mom to mom and craft sales and wedding receptions are held). Do you have a business that caters to moms, dads, children, or families? 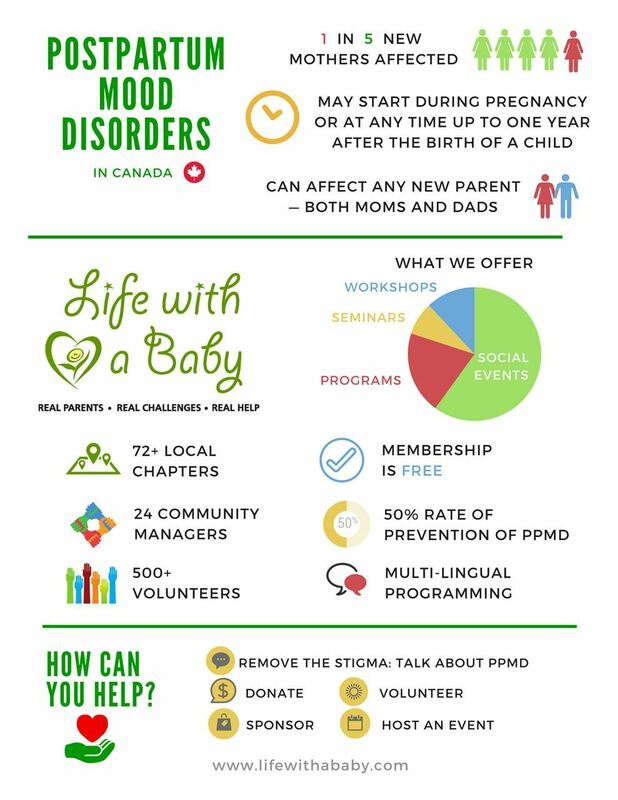 We'd love to share this information with our members to connect them to services in their local community. **This event is exclusively for our members. Not yet a member? 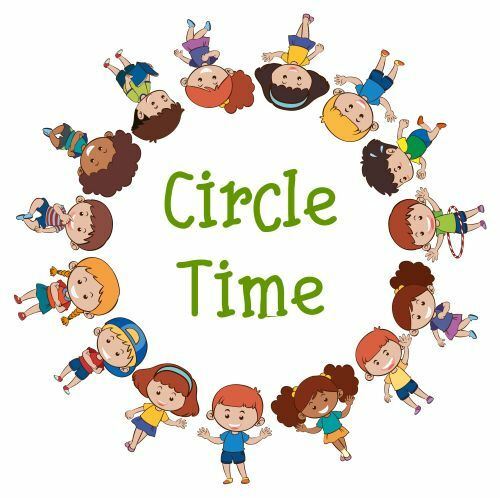 Join us every 1st & 3rd Monday (and 5th when there is one) of the month for a fun playgroup and interactive circle time with songs, rhymes, books, activities, & craft! This program is run by The Kawartha Lakes EarlyOn Centre. Get out of the house and get to know the mommies and kids in your local community. There is a great playground with swings and shaded picnic table area outside, and we invite you to stay and play after the program if the weather is nice. We have a special rate on advertising for the next two weeks only! Best of all your supports goes right back to providing LWAB programming, support groups, and charitable support to mothers and families in your local community. Sponsored blog post - Life with a Baby will work with you to find a contributor who enjoys your products, and would like to get the word out. A sponsored post also includes social media support and an image or logo in the post. Newsletter write up – Let’s get the word out to our 40,000+ newsletter subscribers about your product/brand. This type of write up is more advertorial than a blog post and will be circulated in our monthly newsletter. Social media promotion – We are happy to promote your products/brand on our social media platforms. A social media campaign will include one Facebook post with image and one Twitter post. Ambassadorship – At Life with a Baby, we believe in building relationships with the brands that we love, and we think an ambassadorship is a great way to do that. An ambassadorship would be a long term relationship with Life with a Baby where you would be featured in our blog, our newsletter and on our social media platforms over several months. Your commitment to working with us long term, means we can offer you better rates. Get the word out about your products, services, and brand while supporting a great program. 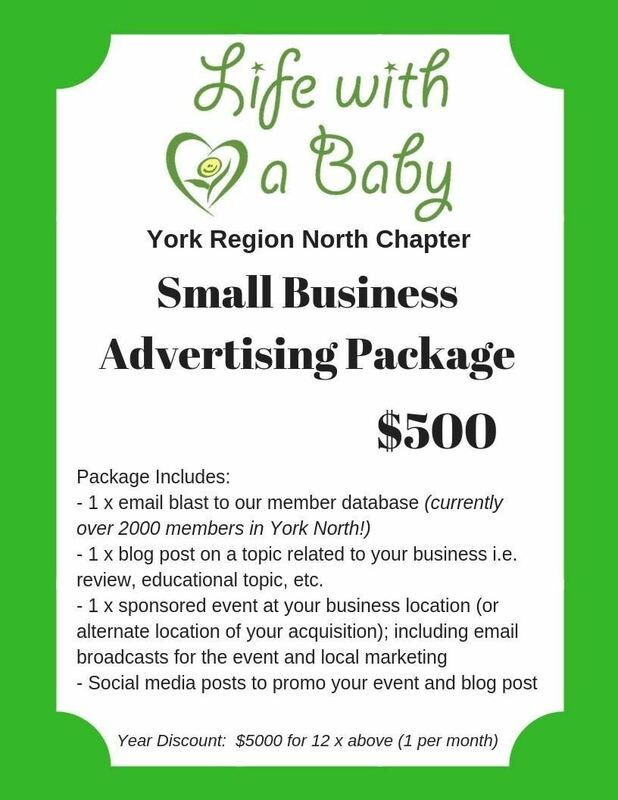 Please email simcoe@lifewithababy.com to inquire about the information you need to send for your eBlast advertising. Thanks! Want to get back in shape and not sure where to begin? Not sure if you have diastasis recti or other pelvic floor dysfunction? Leaking when you laugh, cough or jump? Want to meet other new mommy friends? Looking for activities to do with your baby? If you answered YES, to any of the above, then JOIN US on MONDAY and WEDNESDAY mornings at 10:15am or 11:20am for a full body, Mommy/Baby, resistance training workout. This class will use a combination of body weight, free weights, bands, balls, and babies to perform the exercises. It is designed to be safe for those with diastasis recti, prolapse, incontinence, and pelvic floor dysfunction, while still challenging for those who want to work hard and work up a sweat! Class is lead by Suzanne Serfaty, a Personal Trainer, Holistic Nutritionist, and Level 2 Bellies Inc Core Confidence Specialist! You will benefit from personalized attention in a small group environment and exercises designed to strengthen, tone, restore and repair the post-partum body. The Winter session will run from March to April at a private home studio in the Dufferin and Major Mackenzie area (Upper Thornhill). For those interested in joining for more than one class per day (more than the 17 total), it will work out to $10 per class so please inquire to confirm exact pricing. Cost will be pro-rated if you join after the start of the session. Drop in is available at $22.60 per class and spots may be reserved as late as the morning of class, SPACE PERMITTING. 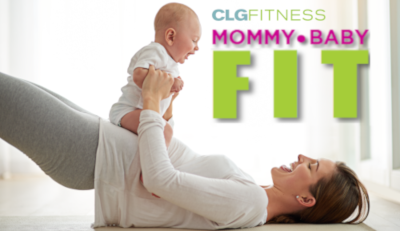 In addition, if you are interested in PRIVATE Personal Training with CLG Fitness, sign up for training for a minimum of one session per week, and you may join the Mommy/Baby class COMPLETELY FREE! Contact us for more details. Space is limited, so spots must be reserved in advance. Payments will be accepted via e-transfer and address will be given once registration has been received. Participants may sign up for Mondays, Wednesdays, or both. Days are not interchangeable unless you are registered for both due to limited spots available. Please bring water, running shoes, yoga mat if you have (if not that's okay), and whatever you need for baby. Please let instructor know about any other concerns in advance. Babies are welcome but are not required to register. 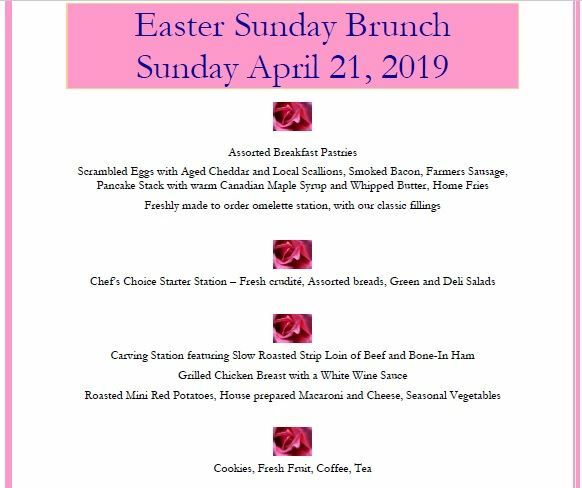 For any questions, please contact Suzanne at 647-631-7465. 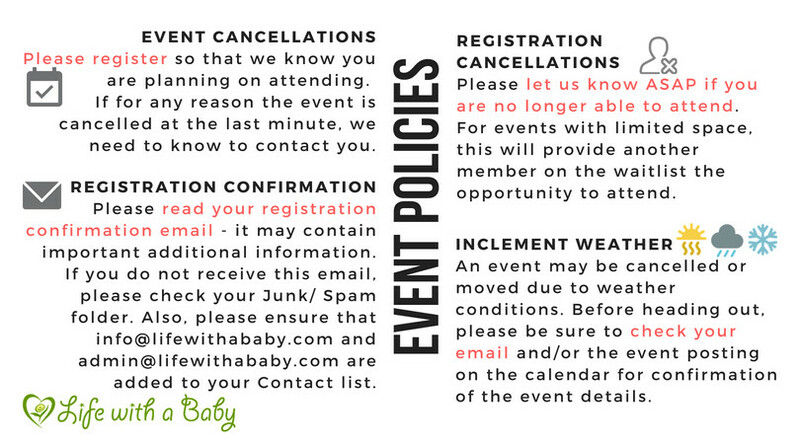 Note: Registration here via Life With A Baby does not confirm or reserve your spot. By registering here, your contact information will be sent to CLG Fitness. This is an energizing flow yoga class for new moms to share quality time with their babies. It is a supportive group for moms to practice yoga and the ideal way for new mothers to begin activity after birth. 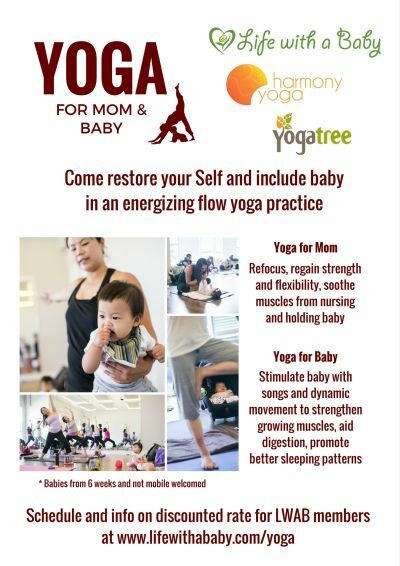 Moms will experience flowing and challenging postures, as well as calming restorative time in a playful and safe environment for babies. Poses will help mom refocus, regain strength and flexibility and soothe muscles from nursing and holding baby. Learn Baby Yoga poses to strengthen growing muscles, aid in digestion, promote better sleeping patterns, and help your baby towards their next stage of development. Note: During the class, moms may stop to feed or soothe baby and rejoin the practice when it is possible and comfortable to do so. Babies from 6 weeks old and not actively crawling are welcome. Previous yoga experience is not necessary, but is helpful. Note: Minimum 6 paid registrants required to run the session. If the session is cancelled due to low enrollment you will receive a full refund. - 20% discount for LWAB members for online pre-payment. Register here first via LWAB to receive the discount code. - Single classes available at $18+HST per class, space permitting. Please register for the specific class(es) you want to attend. Note: If you do not submit payment online at the link provided in your email, your spot is NOT guaranteed – a subsequent registrant that does submit payment online will receive precedence. For this location, there is limited space. Please do not drop in without confirming that there is space, to avoid being turned away at the door. There is NO SPACE for strollers, so please leave yours in the car. If this will be the first time you've attended (any) class at Yoga Tree, please arrive 10 minutes early in order to complete and sign their waiver form. Please DO NOT CALL Yoga Tree for info, registration issues, cancellations etc. Casual met up for moms, dads and babes at Coffee Culture in Bradford. Stay out of the cold and sip on warm coffee, tea and hot chocolate, and meet other parents. Bring a story to tell about your experience with your baby/babies, no matter how cute, funny, loud or frustrating it's been for you. Your stories will help other parents feel like they're not alone. Registration Information: this is a recurring weekly event. if you register for this event you will be registered for EACH WEEK. Just come when and if you can. If you can cancel your registration if you no longer plan to attend, that would be appreciated! Join Movies for Mommies Kitchener on Thursday, April 18th at 12:30pm for the very funny rom com Isn't It Romantic, starring Rebel Wilson, at the awesome Apollo Cinema! Dads, BFFs, and grandparents are always welcome! Doors open at 11:30am. 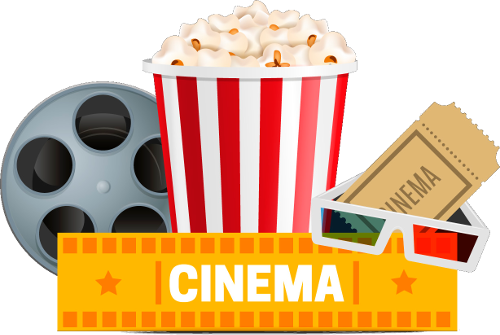 Movies for Mommies will be hosting events alternating Thursdays in Kitchener. 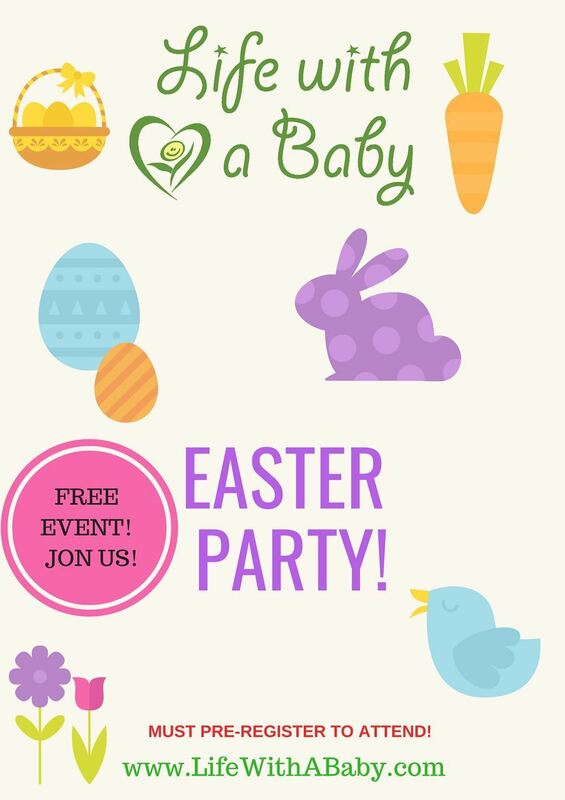 All parents and babies are welcome! 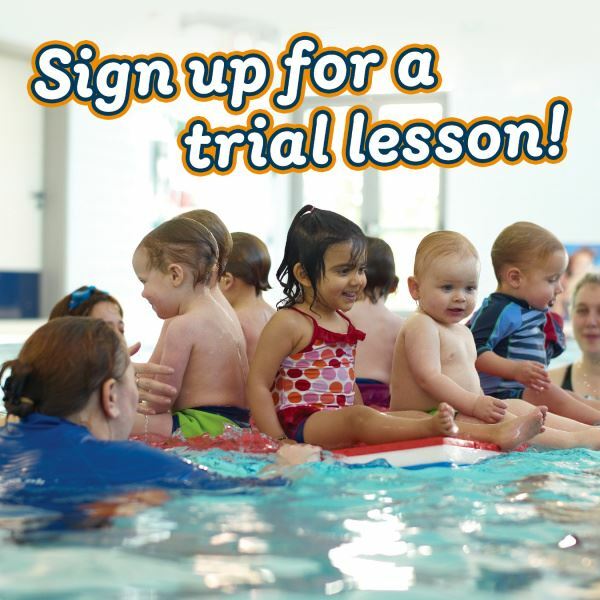 Our friends at Water Babies are hosting some free trial classes so you can see first-hand what they’re all about! They’re about so much more than swimming. They focus on water safety, water confidence, underwater swimming, and most importantly, having fun! These classes are for babies (0 – 12 months). 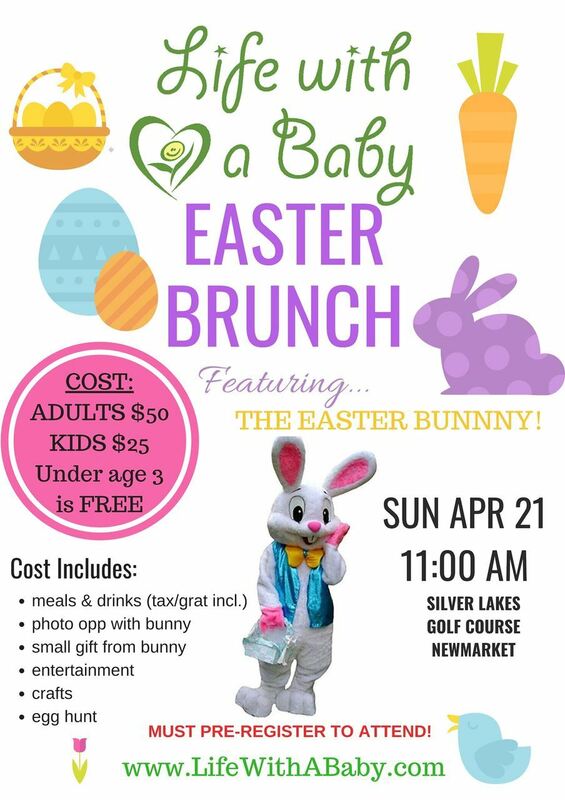 Please reach out to them directly to reserve your spot and we hope you have a blast with your little one. Promo available for a limited time: April - May classes (7 weeks): $105+ HST. No refunds or makeups available if registering with the promo rate. There is limited space for strollers, so please leave yours in the car if possible. JOIN US for a fun inter generational morning Renior Newmarket. Meet some new friends of all ages. 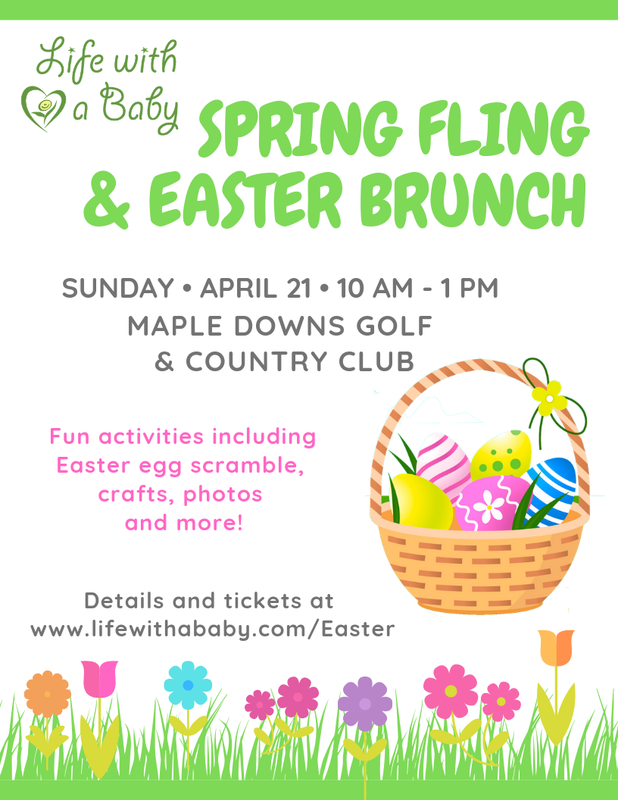 Fun activities will be provided, including interaction with baby chicks, snacks, crafts, a easter egg hunt and more! Please note that due to the delicate health of Renior residents and children, we ask that you only attend these events if you and your children are in perfect health! We're headed to the Cookstown Mall and we hope you'll join us for an early morning stroll and social time! Where: Tanger Outlets Mall - Cookstown, meeting location will be listed in your registration confirmation. Mall walking is a great way to stay fit and social in the cold winter months. The comfortable indoor climate offers long and open corridors we can briskly take a tour to get the blood flowing. Walking before the shops open gives way to an uncrowded and quiet atmosphere. Easy access to amenities, such as washrooms and benches, allows for no hassle changes and feedings. Come and join us!! 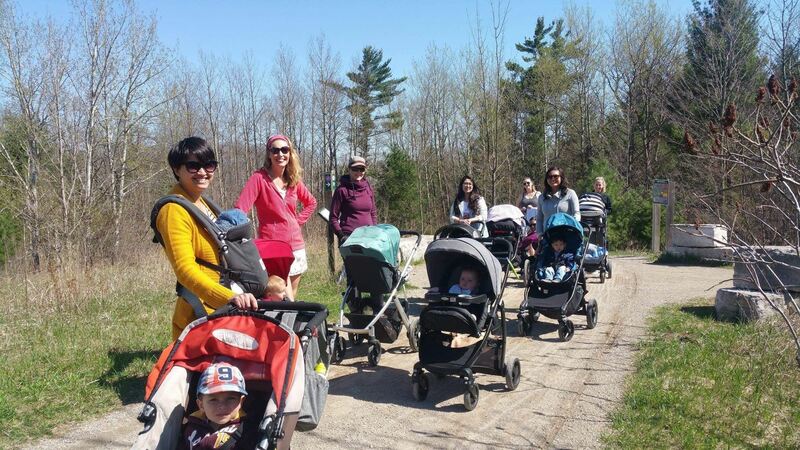 Join us for a stroller walk along Barrie's beautiful Lakeshore! This is meant to be a quick paced walk for exercise so while toddlers are more than welcome, they should be in a stroller or carrier. These walks will happen every Monday morning now that the weather is nice so be sure to join us each week for some fresh air, exercise and great company! Meet up location will be in your registration confirmation. JOIN US for a fun park play date at Fairy Lake! Let's let the kids play while we catch up on some mommy chat! Feel free to bring a snack or picnic lunch if you plan to stay a while! Please note this event has a minimum $2 donation, payable at the event. 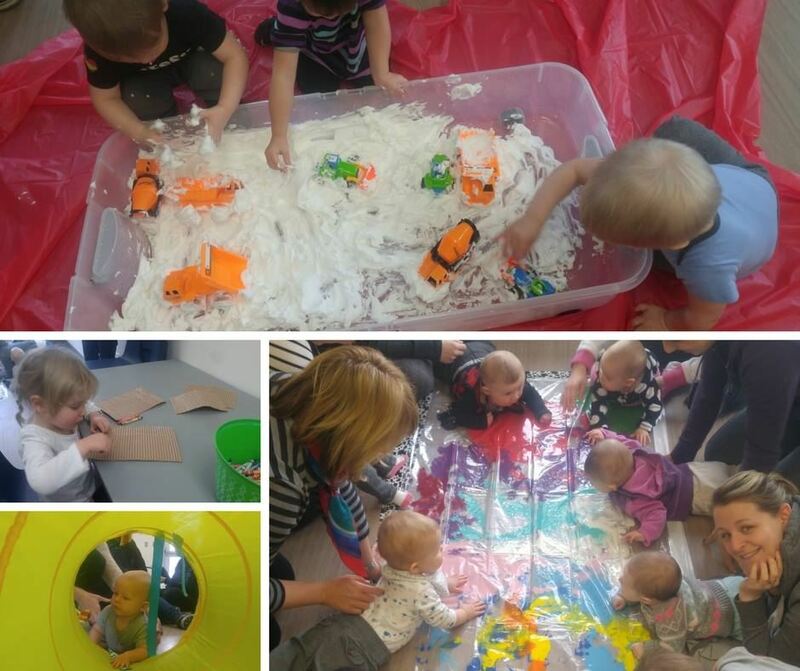 Join us for a fun morning of sensory play and exploration! 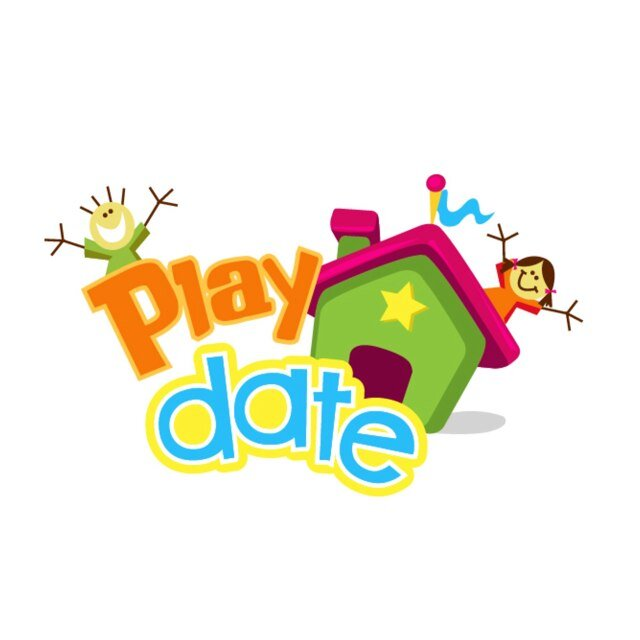 This playgroup meets on select Tuesdays at Bridgeport Community Centre. We start off with circle time. We then follow up with engaging sensory exploration for you and your little ones. All programs are suited for ages 0-6 years old. Different stations will be set up for each age and stage. Parent participation is required. 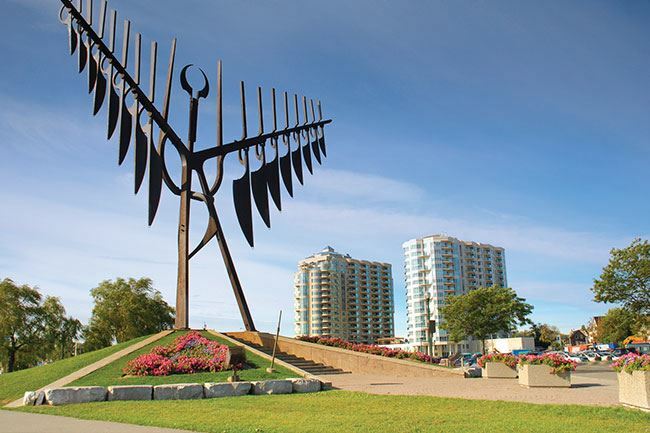 A very big thank you to the City of Kitchener for generously donating the space for our Tuesday programs. This Dance Flow class combines easy to follow movements and rhythms to create an exhilarating experience for mom and baby. This class provides a fun way to move your body while bonding with your baby and other moms. This class is a 6-week session and runs every Tuesday from 11:30 am - 12:30 pm. Notes: All sales are final. No refunds will be provided. All participants must submit Waiver a form in their first class. Please contact Jill at 647-334-7779 or jillfranks@hotmail.com if you plan to drop in. Please note: Payment and additional information will be sent to you in the email confirmation once you register. What better way to spend a morning than at this exciting fire station! 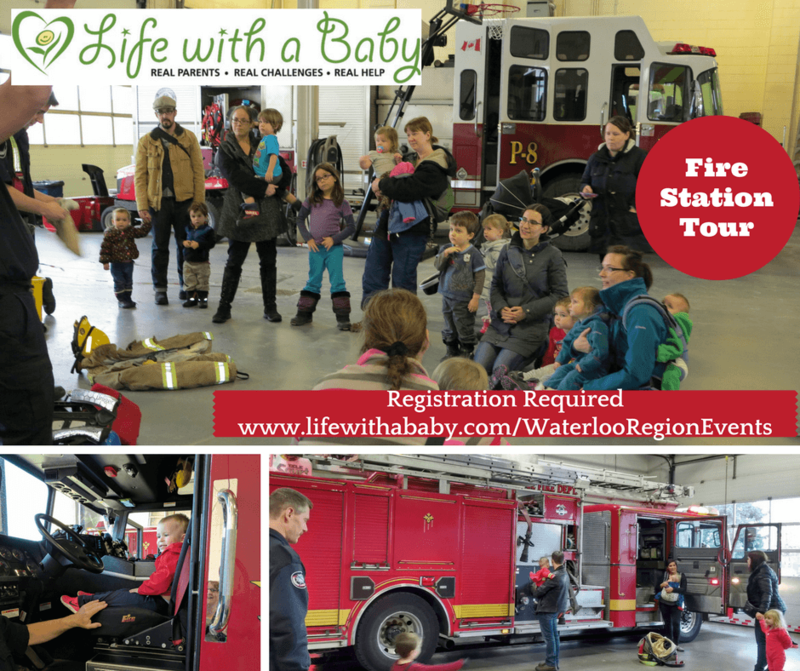 We will get a tour of the station, meet the firefighters, play in the trucks and learn all about fire safety! Note: If the fire station gets a call, they will have to respond! 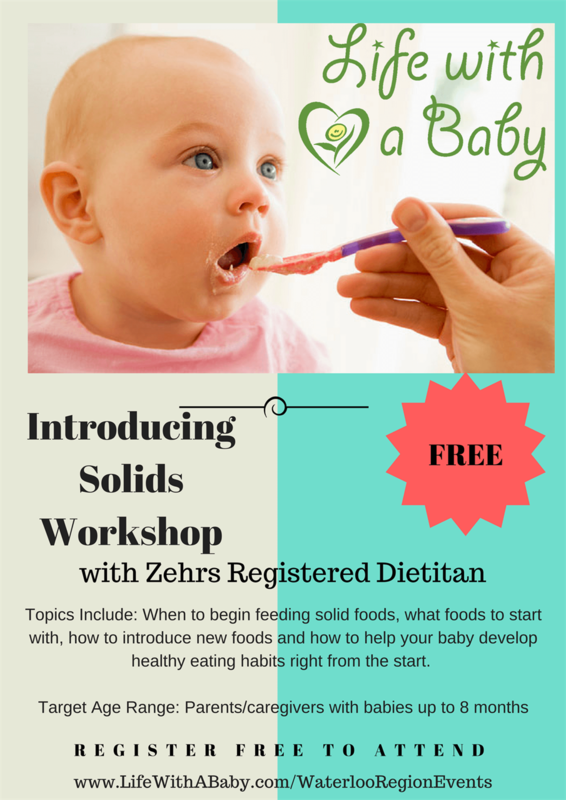 Join Zehrs Registered Dietitian, Rachel, to learn all about starting baby on his or her first foods! Please note this is a walking tour, strollers are welcome! Join us at All Star Learning for a drop in social and play time. All Star offers an experiential play space for babies, children and toddlers. 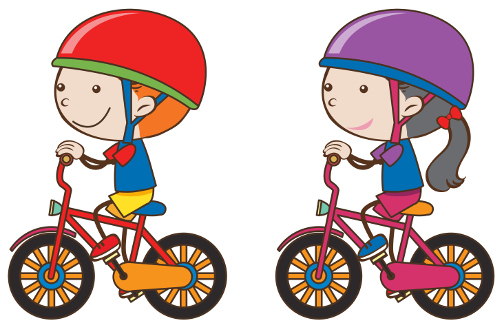 Join us to let our little ones explore while you socialize with other moms. We will have a small circle and parachute time as well. Spring has sprung and we want to get get outside and enjoy it! Join us for a walk on a new trail every Wednesday! Get a little exercise and some socialization time in!